With much anticipation and concern we watched President Trump’s announcement last week regarding changes in Cuba policies, and as we expected, his changes take a step backwards in the forward progress of the US-Cuba relationship that we welcomed from the Obama administration. 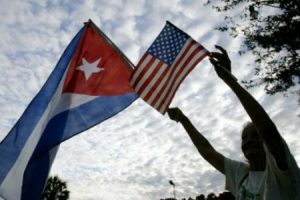 Per the subsequent change in regulations, those living in the United States will no longer be able to legally travel on their own to Cuba unless they are traveling with licensed groups such as Global Exchange Reality Tours, which has been facilitating people-to-people travel to Cuba for nearly 30 years. Additional measures by Trump include the ban of transactions with any business linked to the Cuban military, which comprises about 60% of all Cuban businesses, many of which are connected with the tourism industry. We should, however, view last week’s announcement as an important opportunity to take action on our own and strengthen our people-to-people ties with Cuba by traveling to the island and to let Cubans know that we as a people do not support these policies. Our upcoming Reality Tours to Cuba will do just that, by learning the facts first hand, hearing and seeing the many truths of Cuba in person, and letting the Cuban people know that we stand in solidarity with them and support their sovereignty. You can read more about the new regulations on the updated FAQ’s from the Office of Foreign Assets Control under the US Dept. of the Treasury here. These changes are a set back but they are not a full reversal, and we will continue to fight in solidarity with the Cuban people and allies to move forward once again.